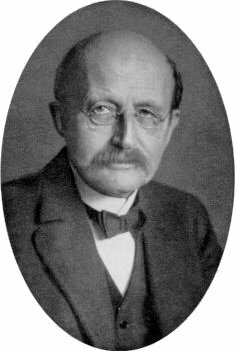 Planck is said to be the fore father of quantum physics. He was first scientist to notice that in application of principles of physics to the quanta level there was some deviation. To put it simply, as Newton had explained that if an object falls from a height, its speed will be determined by its mass or weight, among other things like friction. It has now been noticed that at quanta level (quanta is smallest possible particle of any matter) the matter does not behave in the same manner and that the temperature has an effect on this behavior. Planck was the first to notice the effect of temperature of black-body upon the energy in its radiation. That was time when even atom was not discovered what to speak of quanta. More detailed introduction to quantum Physics can be reached here. By the way Quantum Physics has evolved much more but has yet to make sense of all the experiments so as to make it a coherent science. This entry was posted in Sci/Tech and tagged Birthday, Introduction to quantum physics., Kaiser Wilhelm Society, Max Planck, Quantum mechanics, Theoretical Physics. Bookmark the permalink.